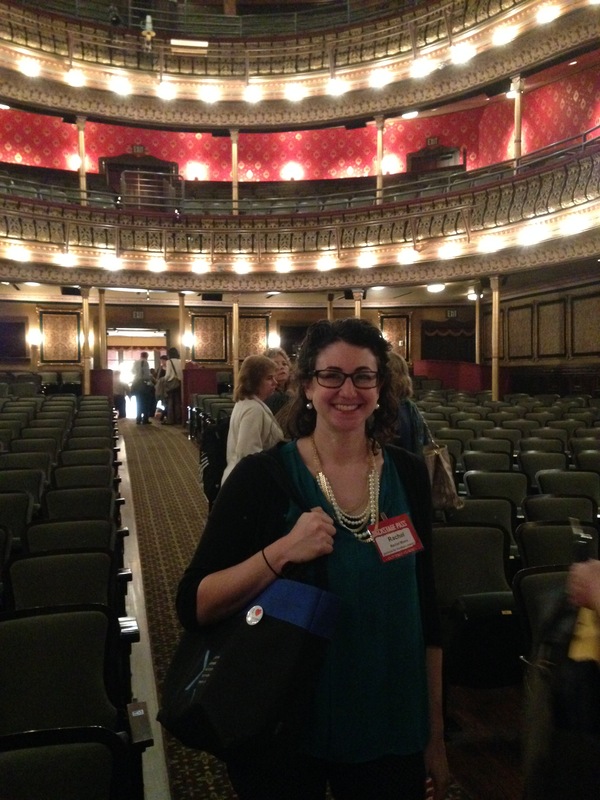 I recently had the pleasure of being a presenter at the 4th annual Backstage Pass Conference, organized by Visit Mississippi, Mississippi Main Street Association , and the Mississippi Arts Commission, to support local festival and event planners throughout the state. The conference was held in Meridian, Mississippi, a city with a rich Jewish history. A few hands and smiles. Many more hands, and a few shy chuckles. A historic image of the recently-restored Riley Center/Marks & Rothenberg building. When I show them the map of active and former congregations throughout Mississippi there are moments of surprise and recognition, and we are able to start a conversation about the impact, legacy and current status of these congregations and why they are a special part of the Southern story. It was an easy connection to make being in a city like Meridian– made even easier sitting in the beautifully restored Riley Center, formerly known as the Marks, Rothenberg & Company, a remarkable building built by Jewish immigrants! In the 1870s, Meridian began to flourish with the construction of the railroad through town. The community of early Jewish immigrants embraced and enhanced their adopted city, making it their own, and bolstering its economy and civic life. Many fine examples of architecture remain in downtown Meridian, attesting to the memory of the bustling railroad era and bearing Jewish names that commemorate the community contribution to Meridian’s grandeur. Israel Marks, a German-born immigrant, began his career as a peddler supplying rural families with dry goods. In 1870 he operated a wholesale dry goods business in Meridian and by 1887 began a company with his three half-brothers: Sam, Levi, and Marks Rothenberg. Their operation, Marks, Rothenberg & Company, became one of the largest wholesale grocery and dry goods businesses in the South. In 1899, a few blocks west of the original store, they opened a mammoth five-story location and a unique civic contribution to the city, an elegant grand opera house. Deep within the building we were sitting in, up the stairs and around the corner, conference participants walked through a set of ornate doors, surprised to see a beautifully restored grand theater. It’s a bit hidden in the building because the business came first. 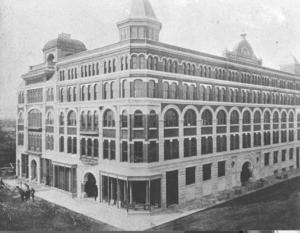 The first floor of the opera house was retail space. And a year later, the Marks-Rothenberg brothers added a third three-story building to the side of the theater that provided a large prop room and elevator to serve the stage while the wholesale business occupied the lower floors. The department store lured in shoppers and introduced them to sophisticated goods while the opera house provided both entertainment and a cultural center for the city. The department store and the opera house supported one another. Rachel at the Riley Center! This idea of commerce supporting culture was familiar to this Backstage Pass audience, a room full of professionals working hard each day to support cultural attractions in the state. While cultural sites like the Riley Center/Opera House are important assets to communities, they are often financially burdensome and sometimes challenging to market to a wide audience. People working within the state’s Chamber of Commerce, Main Street organizations and visitor’s bureaus have the same spirit of the Marks and Rothenberg brothers, dedicated to aligning business with pleasure in a way that promotes their cities as attractive destinations. Their work brings joy, festivity and fun to their communities and while it makes it great to be a resident- it’s even better for a tourist! I’m proud that in my professional role, I get to play a part in the ongoing Southern Jewish legacy of making meaningful memories and artistic contributions in towns like Meridian, Mississippi. If you’re interested in exploring the sites, events and festivals of Mississippi, with a Jewish twist – contact me for information on our Southern Jewish Heritage Tours.